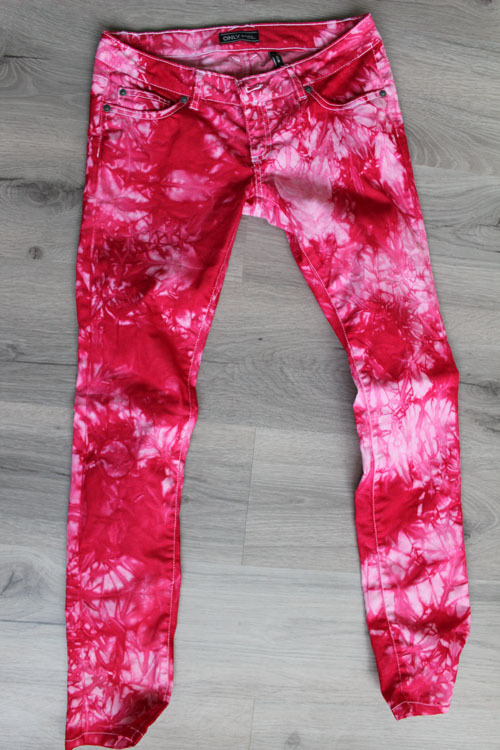 Since i spotted the pictures of blogger Jessica from Tuula wearing the red Isabel Marant jeans (see here), i got inspired to make my own. I can't believe how easy this was and i myself am still impressed with the result. They look pretty similar to the real deal right! 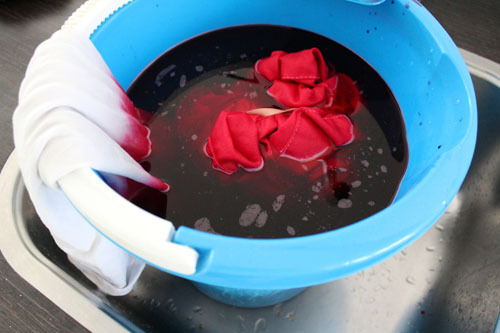 Make sure you wash the pants before you dye them. Leave them wet, wrinkle them together and strap the elastics around them. Place them into your bucket or sink with dye (follow the instructions on the packaging for the preparation) and leave them in for one hour. Turn them around every once a while. Rinse them out with cold water (i still left the elastics around during this part) and then wash in the washing machine. That's it. Done! And since i already got the bucket of dye i decided to also transform an old white tank top. I dipped them in half for an ombre effect. Piece-of-cake. Stay tuned for updates: subscribe your email, or follow me via Bloglovin, Twitter or Instagram (@wearegoingdutch).